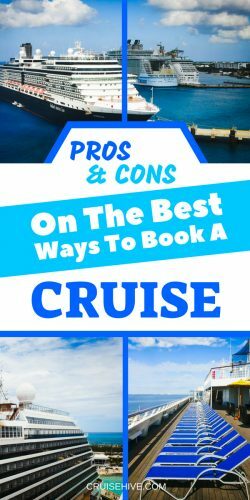 We've put together the 3 best ways to book a cruise with a look at the pros and cons to help you decide. Follow these cruise vacation booking tips to save money and be more prepared. Before you start the actual booking process for your next cruise, take the time to browse the myriad of vacation options upon the sea (or river). Do you like outdoor adventures, or lounging by the pool? Are all-night parties your gig, or do you prefer quiet time with a good book? Would it be interesting to disembark at several ports of call, or does staying onboard sound more appealing? The answers to these types of questions can help you pick just the right cruise; one where you’ll enjoy the activities and meet people who share your interests. And, the good news – with a bit of research, you’re likely to find a cruise that will seem tailor-made for you! You will also need to decide what type of cabin you want; choose dining options and drink packages; and pick what size ship offers the amenities you desire. Once you have a fairly clear idea of what your next (or first) cruise should look like, then it’s time to consider the best ways to book the reservation. Did you know that there is no charge for their services? They are paid commissions by the cruise lines. Be aware though, this could lead to certain agents pushing one cruise line over another based on a higher compensation. If you’ve done your research, you’ll have an idea of what lines and ships you prefer. These professionals are quite skilled at recommending the best cruise for your interests. This is another good reason to pre-plan your preferences, since the best travel agent’s first questions will be similar to the ones above. Also, they are highly knowledgeable on cabin types, dining and drink packages, and the other questions you may not have been able to answer earlier. 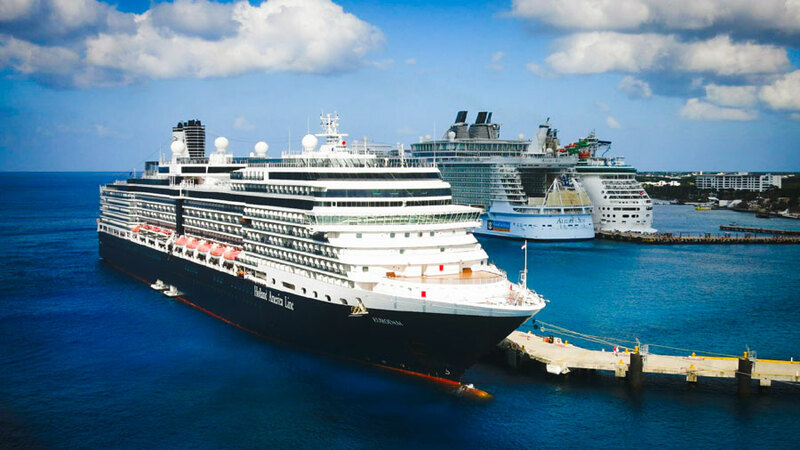 Compare cruises while booking your vacation at sea. What many cruisers don’t know is that when you book through a travel agent you can score some insider deals. They have access to perks such as free rides to and from airports, complimentary meals and/or drinks, discounted shore excursions, and a host of others. Be sure to ask what specials they can offer for your itinerary. The nature of cruise vacations means unexpected issues, mainly weather-related. Would you know what to do if your cruise was cancelled or re-routed (causing delays for other transportation plans)? A travel agent will know exactly how to handle these events, and is your advocate in those situations. Peace of mind is a terrific reason to seek professional help! Finally, reputable travel agents often have endorsements from their industry associations. Look for acronyms such as CTC (Certified Travel Counselor), and/or ACC (Accredited), MCC (Master), or ECC (Elite) accreditations from Cruise Line International Association. To find these individuals, you can also check with the highly respected American Society of Travel Agents. Booking directly with your chosen cruise line can be efficient, if (and this is a BIG “if”) you know exactly what you want from the cruise. You’ll have to choose itineraries, dates, and ships just to begin. If you’re sailing to the Caribbean, for example, do you know the dates for hurricane season? Also, be aware that mega-ships dock in the busiest ports, and cannot stop at smaller islands. Additionally, smaller vessels generally cost more but may offer an all-inclusive price. Another consideration is children – some cruise itineraries are for adults. And, if you want a romantic getaway, spring break is definitely NOT the time to cruise! Once these issues are all sorted out, you then get to pick inside-the-ship details. Did you know there can be up to 37 types of cabins? Location determines price, and can affect your sea-legs (motion sickness is worse on the higher decks). And, your dining options are either set or open for most lines. Set times are generally 6 and 8 PM open is a range of approximately 3 to 3.5 hours. The downside to the latter is that you often have to wait in line. Be aware that your dining option selection is quite difficult (and sometimes impossible) to change after boarding. A benefit for direct booking is that you will likely communicate with a personal vacation planner (PVP) who works for the cruise line. They are exceptionally knowledgeable since this is their niche. But they are also extremely busy. Therefore, personalized service can be at a minimum. Be prepared and check all of these cruise accessories from Amazon. There are dozens and dozens of online booking sites for you to peruse. We’ve all seen the advertisements, and each of them seem to offer a unique point. The inside scoop is that you can find closely comparable deals anywhere you look with a bit of research. Some sites offer to notify you when a price drops. Sign-up for that and use it to shop around. Keep in mind that the ‘brochure’ rate (published fare) is almost always the highest price. Depending on when and where you want to sail, discounts of up to 80% off can be found. Many of these sites have blocks of cabins with a variety of cruise lines. They might also offer perks and extras not found elsewhere. This way of booking requires diligence on your part. Start shopping only when you know exactly what you are looking for, and reserve only after you’ve carefully read all the terms. Boarding and discovering that the super-cheap cabin shares a wall with the engine room would be an unwelcome surprise. Regardless of how you book your reservations, the fun meter for your cruise vacation begins in the planning stage where you get to choose what your next adventures on the high seas looks like. Bon voyage!